For the past few years, we have been in Leadville for Memorial Day. 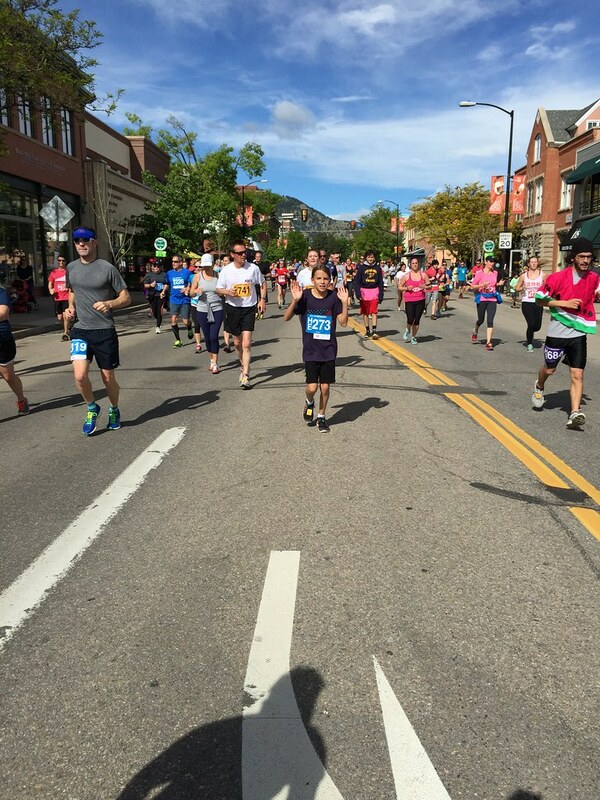 That prevented me from running in the nation’s largest road race for the last few years. However, with the rains of late, we decided to stay on the Front Range. 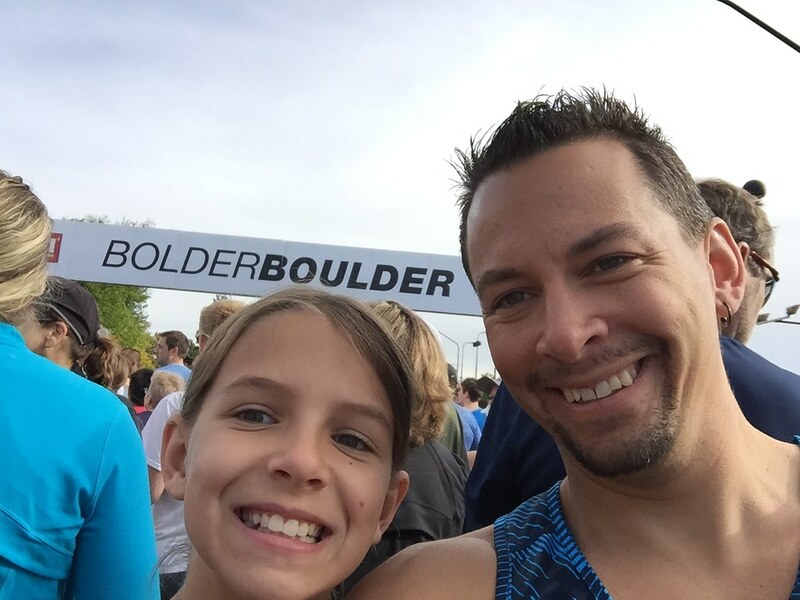 When Sydney heard that news, she told me she wanted to run the Bolder Boulder again this year. She had many friends doing it and I think that motivated her to go and register. What a great way to spend time with my kid, right? Wake up and go for a little jog around Boulder. This is such a classic race if you aren’t from around here. It brings out everyone. They start runners at 7 AM in waves until like 10 and runners cross the finish line until nearly noon. Quite a show having 50,000 runners on the roads and then finishing up in Folsom Field, home of the University of Colorado Buffaloes. Sydney didn’t train for the race of course. We didn’t know this was happening. 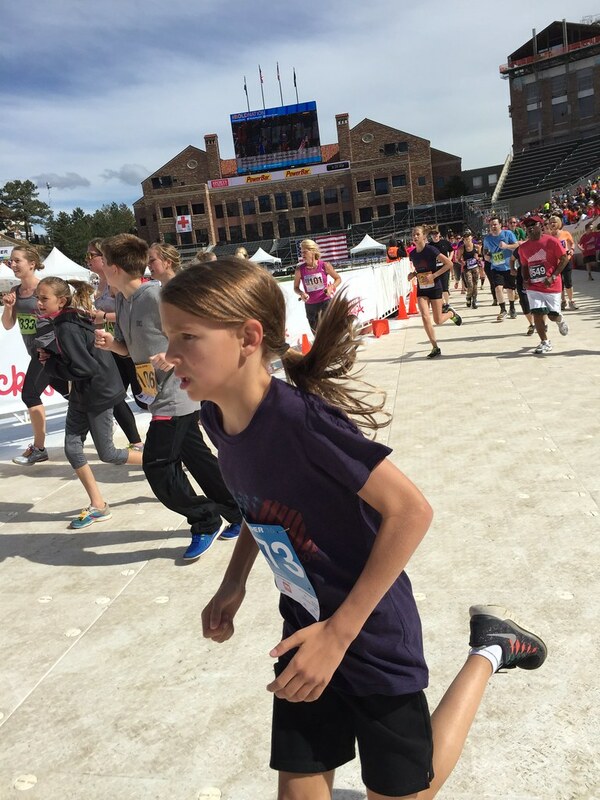 But kids can usually just gut out such an event if they are in shape. She held strong until about mile 4. Only walking the water stops and running the rest. I paced her out in front. Barely looking back but knowing she was on my heels and keeping her steady. I thought we might break an hour going into the race but that wasn’t to be today. She got a cramp around this point and went to a walk for a half mile to work it out. I was doing pacer tricks to get her to push the last mile but she wasn’t falling for it. Oh well. 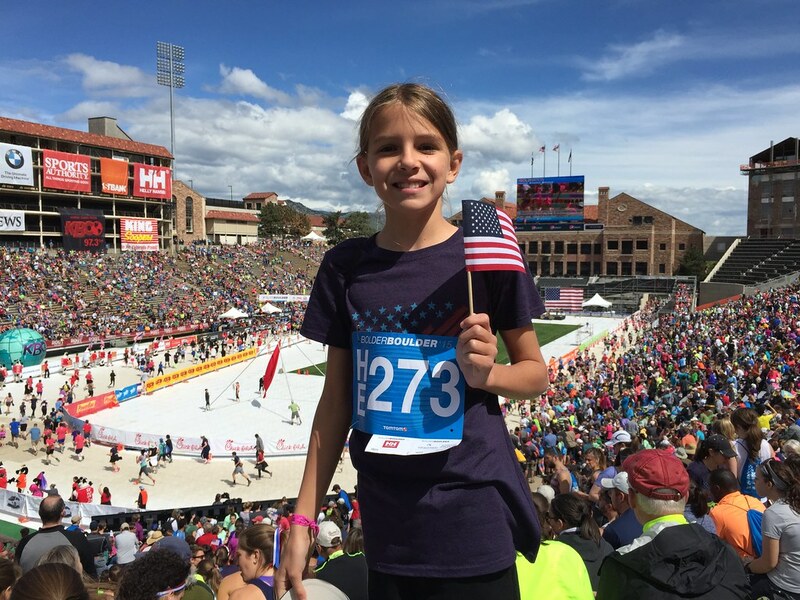 But when she hit the floor of Folsom field she dropped to a 7 minute pace and flew around the stadium. Man, I guess she was just waiting for the big show! I hugged her at the finish and asked why she didn’t do that for all of mile 5! Still proud of her for doing this on her own. I didn’t force. I was asked! We enjoyed some of the Memorial Day festivities and tributes before heading back out to enjoy the rest of the holiday weekend. A little of me wants to get back to this race and finally achieve that Wave A (best is AA) some day. Unless I have to pace again!